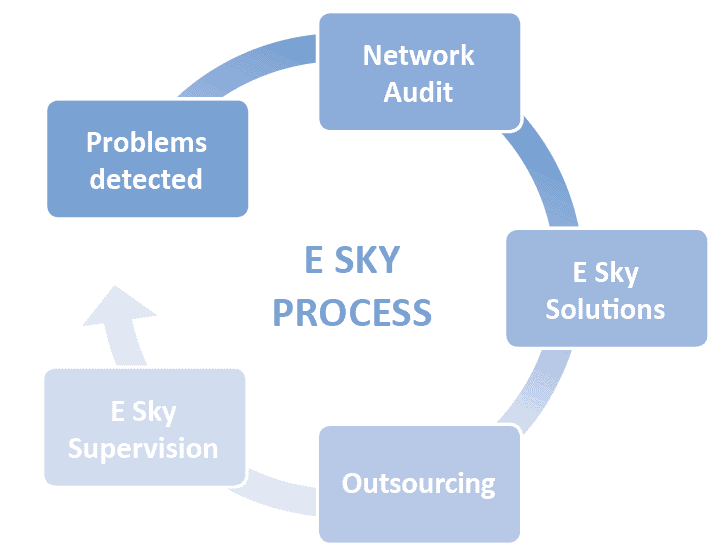 Optimize the performance of your applications with our E Sky process! Your network can be sensitive to latency problems, application slowness, intrusions and viral threats. These troubles pose a risk to your activity and your business development. With full transparency, you can supervise the optimization and securing of your network via a personalized web interface that is secure 24/7. Benefit from increased visibility and control of your network, while reducing your operational expenses and improving the overall performance of your business.